Runaway league leaders Chelmsford Chieftains dropped a rare point on Sunday with a 3-3 draw at home to Oxford City Stars. The Stars actually have the best record of all teams in S1 against the defending champions this season so far as they have been the only team yet to beat the Chieftains – 6-4 in Oxford back in October. Their record against other, however, teams has been fairly average and they currently sit in 5th place. Despite this setback, Chelmsford are 8 points clear of 2nd place Invicta Dynamos at the top of the S1 table, albeit having played one game more. 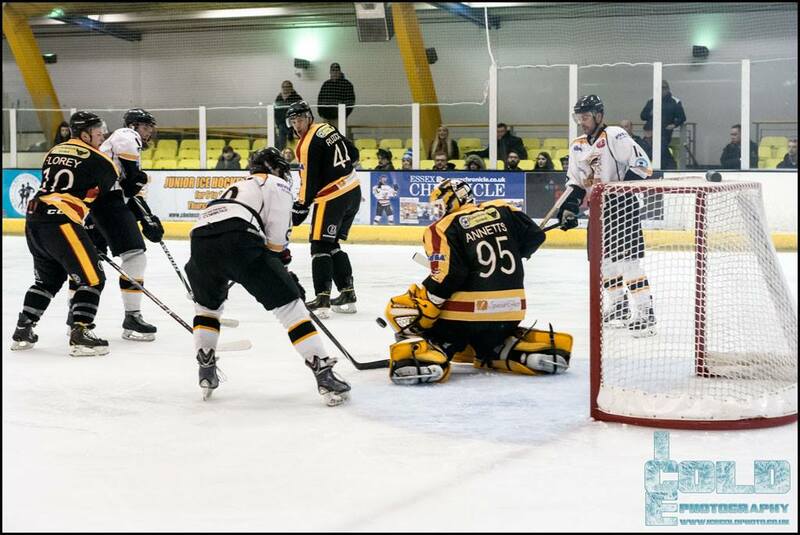 Wightlink Raiders are in 3rd place and the picked up a useful 2-4 win away at London Raiders at the weekend. They have had to reshuffle their playing schedule and are playing all their away games at present while the Ryde Arena is being repaired. The other S1 game of the weekend saw 4th place Streatham Redskins draw 5-5 with Bracknell Hornets.